The track is the first to be taken off their self-titled debut EP set for release next Feb 14 via Nice Swan Records, one of the most exciting new labels of 2018 and landing pad for early releases from the likes of breakout acts Sports Team, Pip Blom and Sweaty Palms. The EP itself, is a collection of warm, nostalgia-inducing yet fresh sounding songs from band truly coming into their own. With bassist Tav and drummer Flynn soon completing the line up, waste time they did not. Last autumn’s ‘If You Know That I’m Lonely’ is testament to that. Armed with a camera and a £100 budget, the group headed to the woodland of New Forest to shoot the video to the single which you can watch back here. 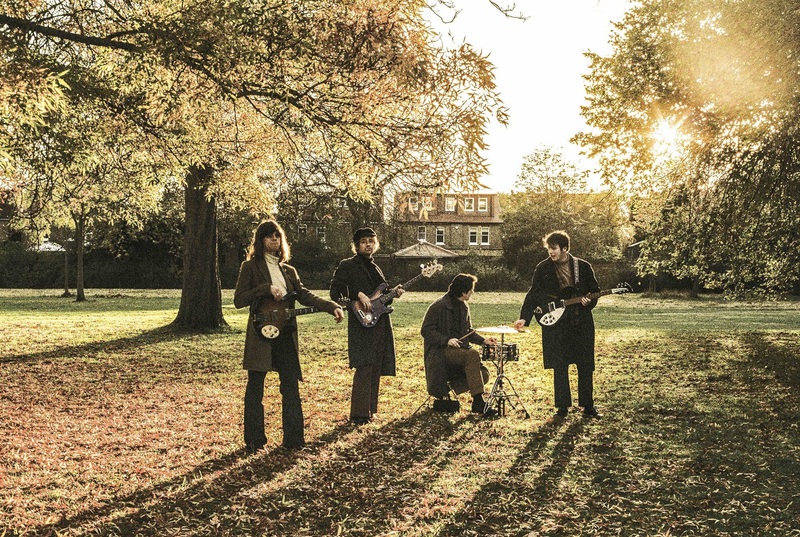 Over 2.5 million Spotify streams and 3.6 millions YouTube hits later, the band earned fast-spreading listenership and praise from all over the world, landed support slots to the likes of The Brian Jonestown Massacre and Miles Kane, as well as early pick up from BBC 6 Music’s Steve Lamacq. The band are currently on tour Matt Maltese. See dates and details here and stay tuned for more from FUR in 2019. ‘Angel Eyes’ is out now via Nice Swan Records, buy/stream it here. FUR EP is out Feb 14 via Nice Swan Records, pre-order on 12″ vinyl now.